The Rio Grande river is drying up. 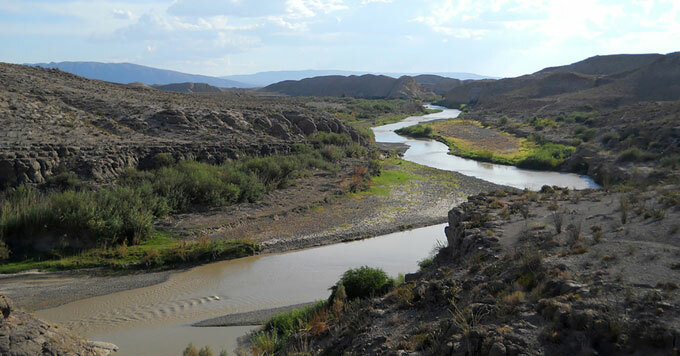 The Rio Grande River snakes along the border between the U.S. and Mexico. A treaty regulates the use of its water for drinking and irrigation. But as drought increasingly threatens the river, people on both sides of the border are turning to underground aquifers. Rosario Sanchez of Texas A&M says that as the climate warms, groundwater in the region could become a source of conflict between the U.S. and Mexico. But to regulate aquifers that cross the border, both countries need to learn more about them. So Sanchez is gathering data from both sides of the border about the aquifers’ location and use. Her sources range from industry data to interviews with local landowners. In the end, she will create transboundary maps the U.S. and Mexico can use to determine how best to manage these increasingly valuable sources of water.